Creating journeys to extraordinary places is what United Travel Group is all about. We believe that luxury can be affordable and that planning a vacation should be as easy and stress-free as the journey itself. When you choose UTG for your holiday, you get a team of professionals with more than 400 collective years of experience. We plan each itinerary as if it were our own vacation. We're travelers too, and we know how important the pace of a vacation is. We design our tours for maximum flexibility. You'll see that many tours offer two and even three levels of accommodations. But often, the tour offers even more flexibility. Depending on the destination and tour, we can mix and match accommodation tiers within the same tour. It was fantastic! No guide book or photo could prepare us for actually being there. The Great Migration of wildebeest and zebra explodes over the plains of the Serengeti and the Masai Mara each year, as hundreds of thousands of plains game go in search of fresh food. 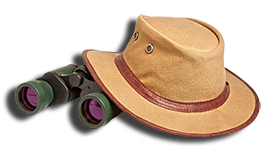 This 9-day safari follows the path of the migration, from the highlands of Ngorongoro, across the Serengeti and into the Masai Mara. 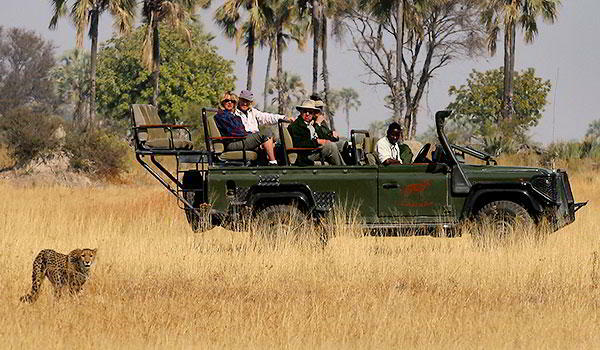 With daily departures, we can extend your stay in any park or add other great safari destinations. Magic awaits on this glorious 9-day safari to the remote and wild parks of Zambia. 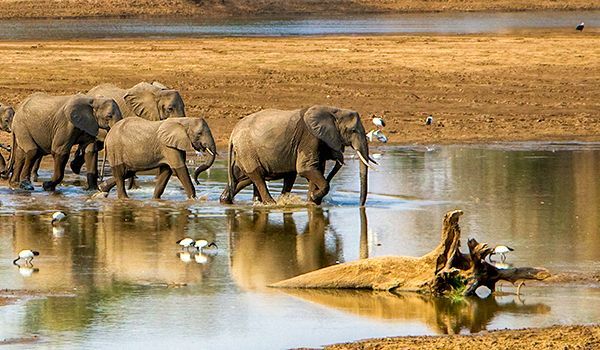 Walking safaris started in Zambia and there is no better place to "feel" Africa than by visiting two it's most impressive national parks: South Luangwa and Lower Zambezi National Park.To top off this wonderful experience is a night in a Sleepout Camp Under the Stars. Tucked into your comfy sleeping roll with a mosquito net tent, you will be lulled to sleep by the sounds of the bush as it rests with the sparkling twinkles of a million stars above providing a wonderful soft light. Stars of Southern Skies is a perennial favorite! 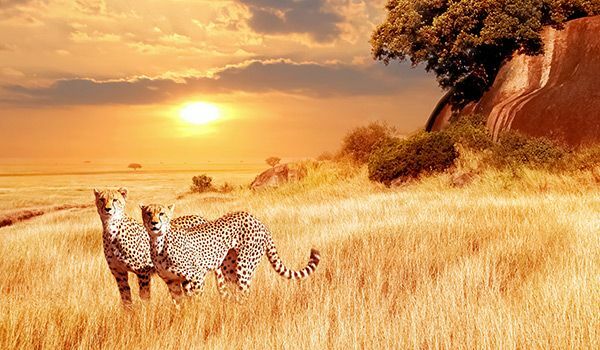 As its name suggests, the "stars" of Southern Africa shine on this ultra flexible 12-day tour visiting Cape Town, Kruger National Park, Victoria Falls and Botswana. We include three accommodation choices, but the options are truly endless. Do you have a favorite lodge? We can customized this program by changing accommodations or adjusting the number of days you spend in each place. See the Stars of Southern Africa!